With the arrival of Chinese New Year (CNY), the market began to show a festive atmosphere and started to slow down. Yet, the price of si-wafer increased at the end of the year, implying that the price movements after CNY will be positive. The supply and demand of upstream polysilicon continued to be stable, while both mono-si and multi-si wafer prices went up at the same time. With the upcoming CNY, PV cell and module manufacturers have arranged leave or scheduled production plans, and are temporarily unaffected by the sudden rise in upstream prices. The overall supply chain is expected to show strong momentum after CNY. This week, polysilicon trading has been reduced in response to the upcoming CNY holidays. Both the first-tier and second-tier manufacturers are looking forward to the strengthening trend after CNY. Orders for February have largely been signed, and there have even been some signs of orders for March. So far, the domestic multi-si material price has been 71-74RMB/KG. Mono-si material price has remained at 78-80RMB/KG. Overseas price has remained at 8.20-9.50USD/KG. This week, the price of si-wafer increased ahead of the CNY holidays. GCL and CMC have both increased their prices. The rise before CNY suggests that manufacturers are anticipating strong market momentum after CNY. Thus, the trend after CNY is expected to be positive. So far, domestic mono-si price has been adjusted to 3.05-3.25RMB/Pc, with the average price increasing to 3.18RMB/Pc. Multi-si price has remained at 2.05-2.15RMB/Pc, with the average price increasing to 2.12RMB/Pc. Black silicon product price has remained at 2.25RMB/Pc. Overseas mono-si wafer price has been 0.385-0.428USD/Pc, with the average price increasing to 0.405USD/Pc. Multi-si price has been 0.265-0.305USD/Pc, with the average price increasing to 0.271USD/Pc. Black silicon product price has remained at 0.305USD/Pc. This week, PV cell trading entered a closed state due to the upcoming holiday. Overseas multi-si PV cell demand still depended on the stock up orders of India. For mono-si, there were few changes on each market. So far, domestic general multi-si price has remained at 0.89-0.90RMB/W. General mono-si price has remained at 1.00-1.08RMB/W. High-efficiency mono-si price has been maintained at 1.21-1.28RMB/W, with the average price increasing to 1.26RMB/W. Ultra-high efficiency mono-si (>21.5%) price has grown to 1.25-1.34RMB/W, with the average price remaining at 1.31RMB/W. Overseas general multi-si price has remained at 0.109-0.139USD/W. General mono-si price has remained at 0.155-0.160USD/W, with the average price growing to 0.157USD/W. High-efficiency mono-si price has remained at 0.165-0.175USD/W. Ultra-high efficiency mono-si (>21.5%) price has remained at 0.175-0.180USD/W. Double-sided PV cell price has stabilized at 1.33-1.35RMB/W. This week, the market atmospheres of module and PV cell were the same. Most of the orders have been completed. The market was waiting for the arrival of the long holiday and the new momentum after CNY. So far, domestic general multi-si (270-275W) price has remained at 1.78-1.85RMB/W. High-efficiency multi-si (280-285W) price has remained at 1.83-1.93RMB/W. General mono-si (290-295W) price has remained at 1.83-1.96RMB/W. High-efficiency mono-si (300-305W) price has remained at 2.15-2.30RMB/W. Ultra-high efficiency mono-si (>310W) price has remained at above 2.25RMB/W. Overseas general multi-si price has been 0.212-0.270USD/W. High-efficiency multi-si price has remained at 0.218-0.275USD/W. General mono-si price has remained at 0.247-0.360USD/W. High-efficiency mono-si price has been 0.273-0.380USD/W. Ultra-high efficiency mono-si (>310W) price has remained at 0.284USD/W. 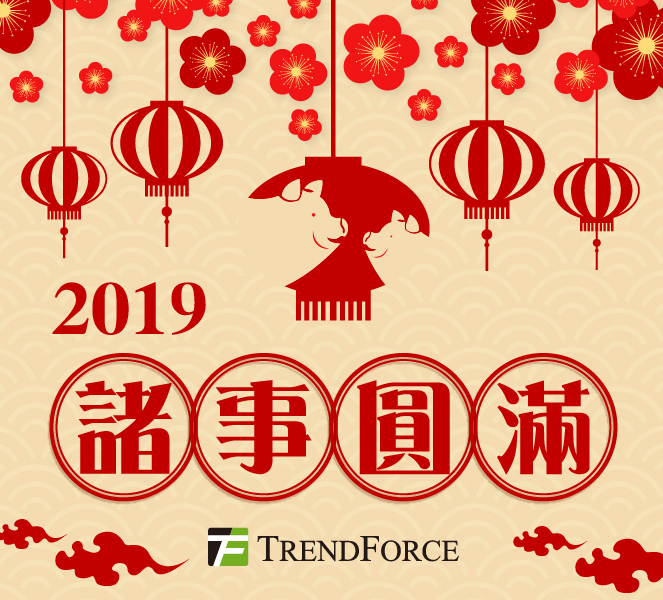 Note: Due to the CNY holiday, the quotation service on February 6, 2019 will be suspended once. The next quotation will be announced on February 13, 2019, and the price trend will be released on February 14, 2019. Happy Chinese New Year!